Love going to concerts ? If you love going to concerts but struggle with where to go or you just rely on other people to organize you night there is a new app that can help you ! The app is called 'Whatslively'. Then easy as pie you get to see what gigs are in your area ! If you jump your friends onto the app as well you can see if they will be at the same show as you by checking out your shared gigs option. We've tried it and its a really nifty tool! It does all the work for you, all you have to do it look at the Whatslively account on your phone and bam you have found a rad concert to visit! 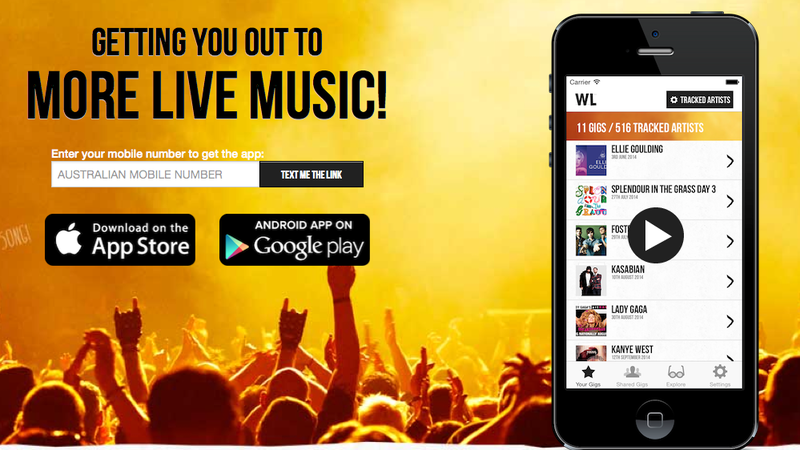 It's a very exciting app for live music in Australia! Get out more and experience more of the the electric vibes you get while watching an artist live ! Say G'day G'day to Whatslively!